BOATER&apos;S DREAM! View your private (deeded) boat slip right off the back porch, or take in views of the peaceful canal from the Master Bedroom balcony. The back deck overlooks the canal. This unit has 3 large bedrooms each with their own private balcony AND bathroom! High ceilings give such a spacious feel. Enjoy the canal views from either of the 2 decks. Walk to the Backwoods Country park and enjoy 30 miles of trails for walking or biking. 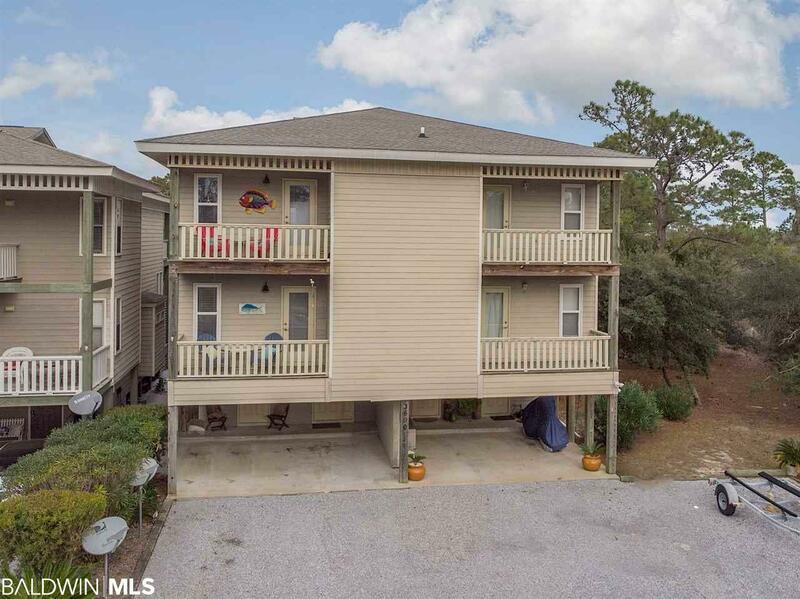 This property is close (less than 1 mile) to the beach and comes FURNISHED! Wake up in the spacious Master Bedroom to a beautiful sunrise over the trees, or wind down from the day on the back porch. The high ceilings give a very spacious feel. Main HVAC replaced in 2018. The bedrooms have brand new carpet as of March 2019. This is WATERFRONT property and one you don&apos;t want to miss out on! Schedule your showing today. Directions: Go East On Beach Blvd To Orange Beach And Go North Onto 161. Go Approximately 0.8 Miles To Turtle Creek Road And Turn Right. The Unit Will Be On The Right.